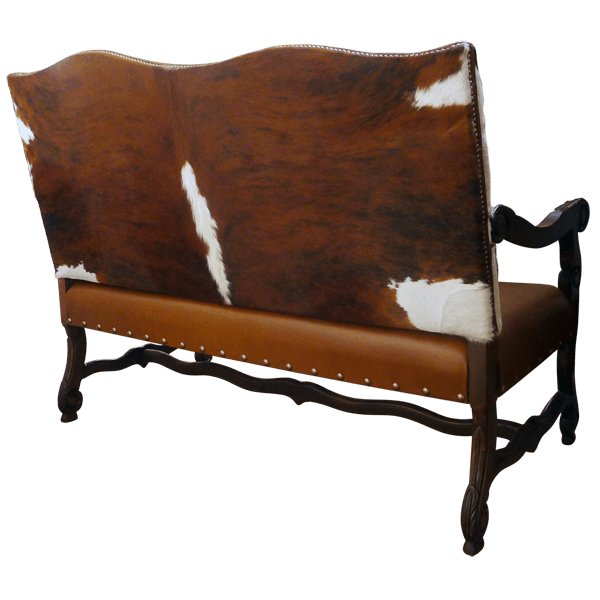 This remarkable, handcrafted, Western style settee will be a marvelous addition to your Western décor. 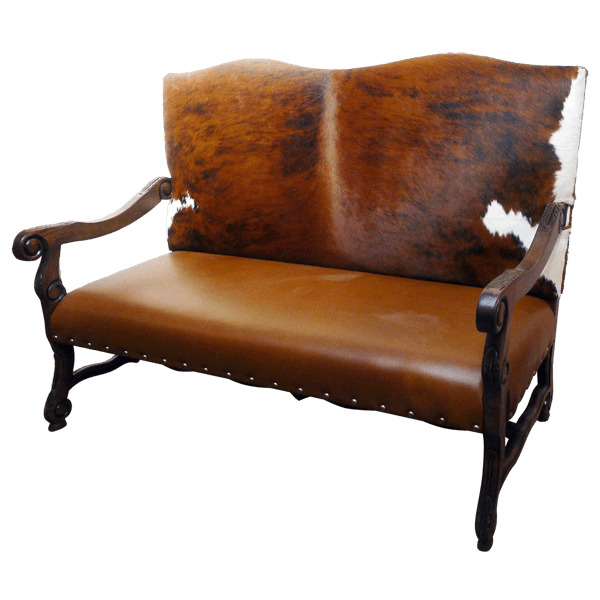 The top of the tall, well padded seatback is softly curved with a slight “V” shaped design, and the seatback is upholstered with gorgeous, brown and white, patterned cowhide. The cowhide is hand tacked to the frame with decorative, gilt nails. The settee has a wide, well padded seat, and the seat is upholstered with rich, brown, full grain leather. 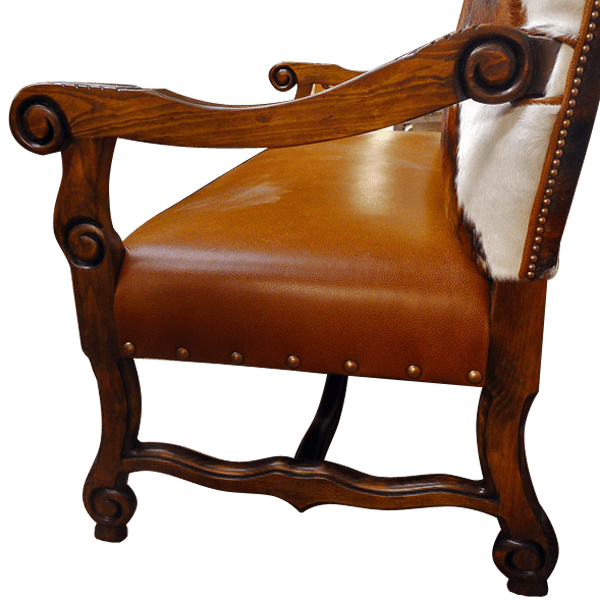 The seat is accompanied with lovely, curved armrests with scroll and hand carved floral details. The leather is secured by large, gilt nails intermittently hand tacked to the sides of the seat. The settee rest on graceful, curved, front and back legs, and the legs are connected by curved “H” shaped stretchers, joined by an elegant, curved crossbar. The settee has a beautiful, dark finish, and it is made with the best, sustainable, solid wood available. It is 100% customizable.